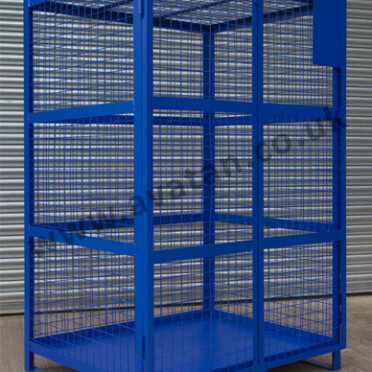 Secure distribution and storage cage with lockable double front gates. 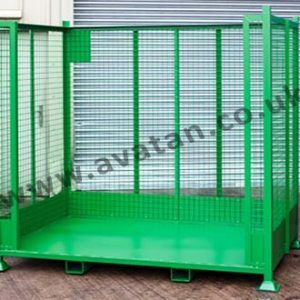 Made to order unit with braced mesh sides and lid with skids on short sides giving free and unimpeded access on the gated side. May also be manufactured with stacking accessories. 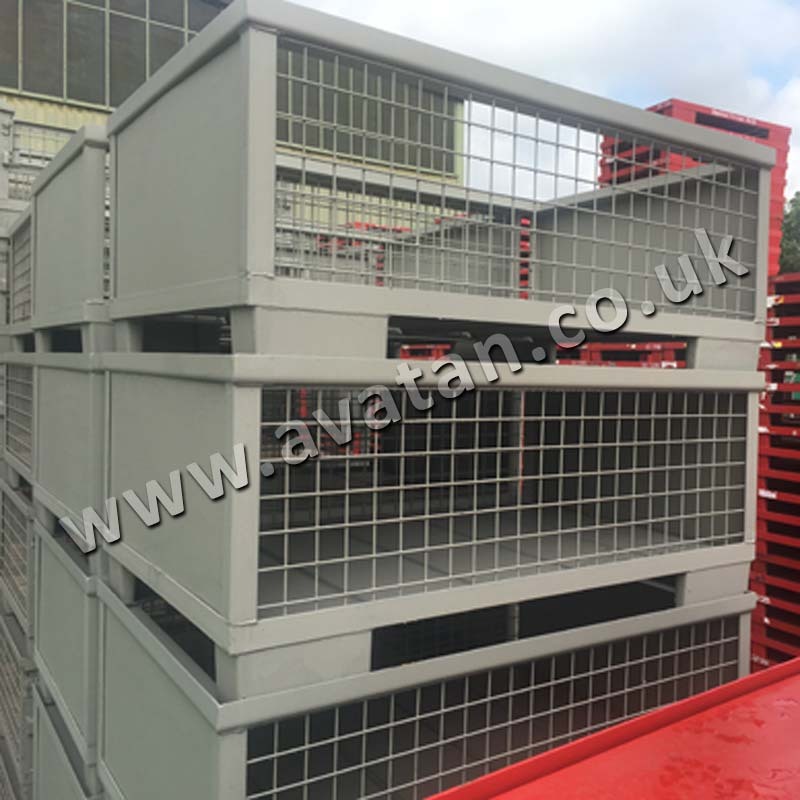 Fitted with identification plate on one gate and shown with optional Kick Plate and extra skid. 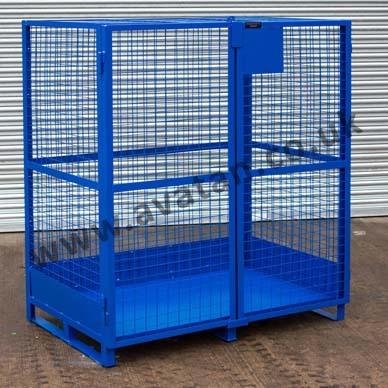 These cage pallets may be supplied with optional fixed or removable shelves. 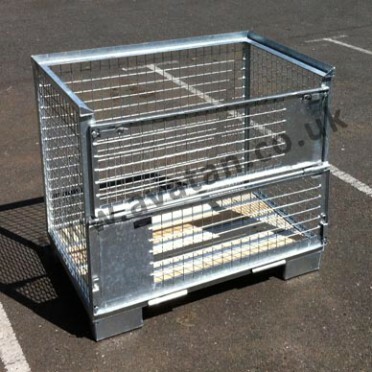 Stillages may be manufactured to suit your own specific needs. 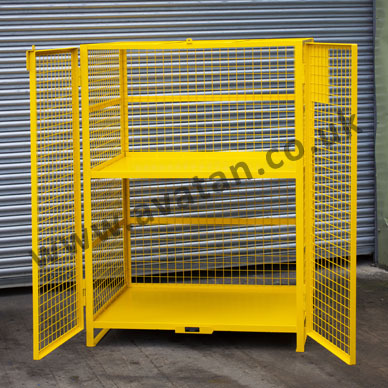 800mm x 1200mm x 1800mm overall height. 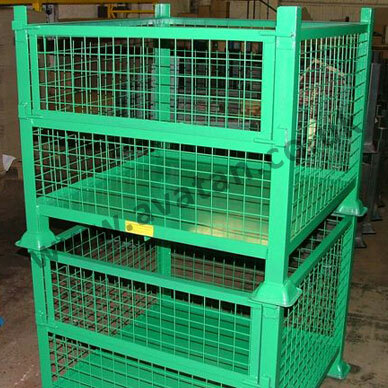 1000mm x 1200mm x 1800mm overall height.